The Ram Janma bhoomi-Babri masjid land title dispute case was adjourned since a Constitution bench member had to recuse himself after Muslim petitioners pointed out his link to a previous connected case. The Supreme Court was supposed to start hearing one of India’s oldest and most politically divisive cases, the Ram Janmabhoomi-Babri masjid land title dispute, today. A five-member Constitution bench, set up by Chief Justice of India (CJI) Ranjan Gogoi on January 8, was expected to decide the timeline of hearings in the case this morning but the matter has been adjourned yet again. Minutes after the apex court proceedings kicked off at 10.30 am, one of the bench members, Justice Uday U. Lalit, recused himself from the case. This development followed senior advocate Rajeev Dhavan, appearing for Muslim petitioners in the case, pointed out that Lalit had represented former Uttar Pradesh chief minister Kalyan Singh two decades back in a connected contempt case. In light of the above, Gogoi reportedly said that the court had no option but to adjourn the hearing. A newly constituted bench is now scheduled to take up today’s matter, i.e. fixing the schedule for hearings, on January 29. By then, the Supreme Court has also asked the court registry to submit a report on when the case will be ready to start hearing arguments. 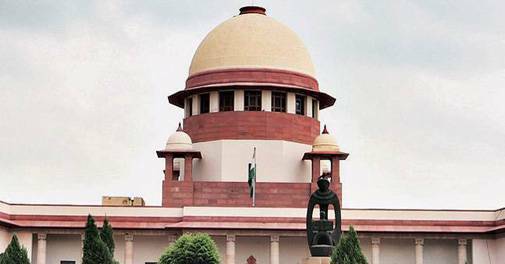 As many as 14 appeals have been filed in the apex court against the 2010 Allahabad High Court judgement, delivered in four civil suits, that the disputed 2.77-acre land at the Ram Janmabhoomi-Babri Masjid site be divided equally among the three parties – the Sunni Waqf Board, the Nirmohi Akhara and Ram Lalla. The case has been languishing at the top court ever since, even as several right wing organisations have stepped up demands an ordinance on early construction of a Ram temple at the disputed site.